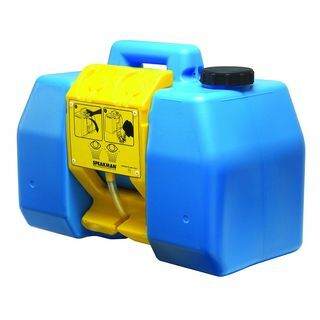 Speakman SE-4400 GravityFlo® SE-4400 9 Gallon Portable Eyewash | Products | Emergency Response | Eyewash & Showers | Eyewash Stations | Portable Eyewash Stations | Scientific Sales, Inc. 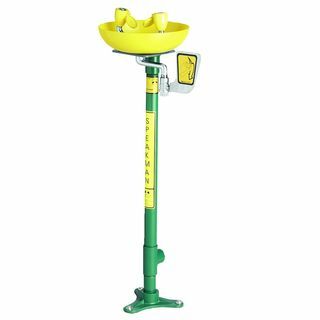 The SE-4400 GravityFlo Portable Eyewash is designed to provide the ultimate solution to locations in need of an eyewash that have no access to a potable water source. 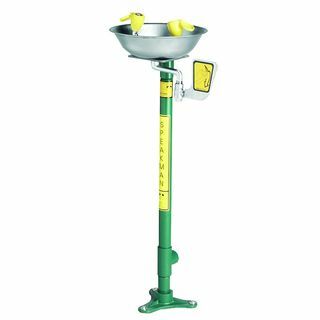 The GravityFlo Portable Eyewash features a 9 gallon tank, providing continuous flow for the ANSI Z358.1 required 15 minutes. 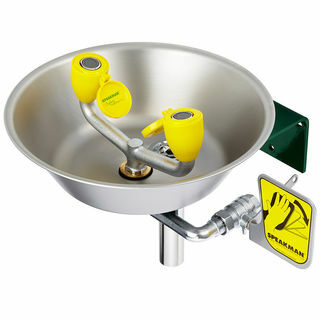 With the capability to be shelf, table, or wall-mounted, this gravity operated eyewash can be placed practically anywhere within a worksite. A simple pull of the highly visible yellow activator instantly delivers relieving streams, allowing hands free operation. The SE-4400 is offered with a 3 year limited warranty.